The most anticipated wedding of 2011 was easily the royal wedding of Prince William and Kate Middleton at Westminster Abbey on April 29th. The world was enthralled when Kate Middleton stepped out of the wedding car wearing an Alexander McQueen dress. It was a perfect gown for the royal bride. A whole five years have passed, but the particulars of Kate Middleton’s wedding dress are hotly discussed by brides-to-be. Tdesigned he elegant dress, designed by Sarah Burton, perfectly highlighted Kate Middleton’s petite figure. The main body of the gown was made from white and ivory satin gazar, with a full-length skirt designed to resemble an opening flower. To produce the effect, the soft pleats were unfolded in a downward fashion,the soft pleats were unfolded in a downward fashion, finishing in a short 90-ft (110 inches) train. The gown had a fine lace appliqué bodice with a V-neck and long sleeves. The bodice used Carrickmacross, a technique developed in in Ireland during the 1820s. This technique involves the lace appliqué of hand-cut flowers. The detailing on the bodice symbolized the various nations of the United Kingdom andwas handmade by the Royal School of Needlework in Hampton. The hem of the skirt as well as the underskirt trim and the train of the gown used hand-cut English lace and French Chantilly lace. Gazar and organza covered the fifty-eight buttons present on the back. These buttons were fastened with the help of Rouleau loops. 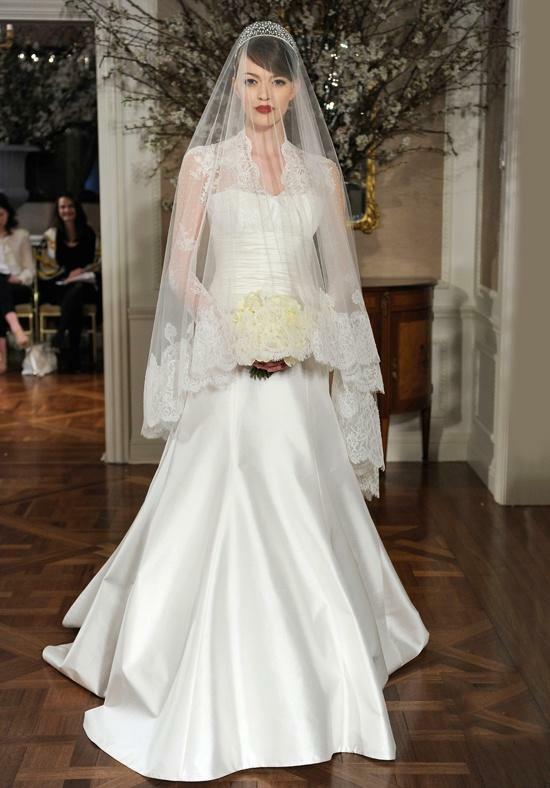 An ivory-colored, silk tulle veil complemented the dress, which was also trimmed with hand-embroidered flowers. Sarah Burton clearly gave her best for the royal wedding, creating a trend when Kate Middleton walked down the aisle in that wedding gown. 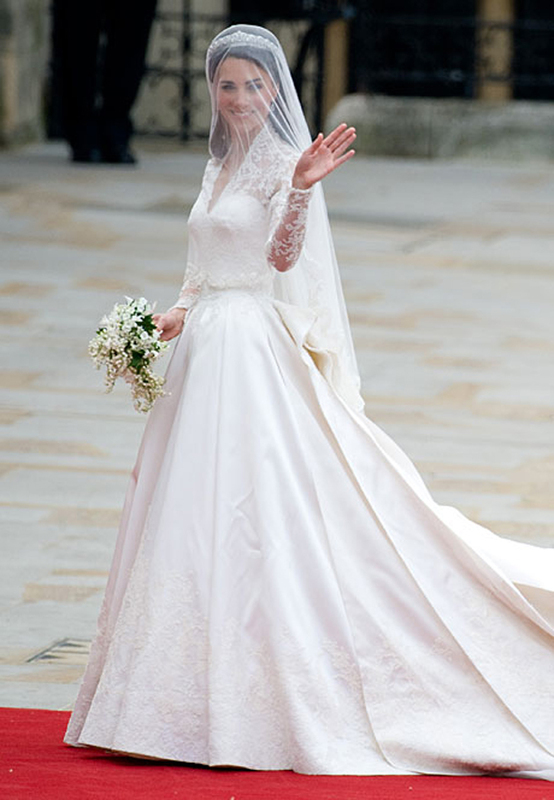 Nearly five years later, Kate Middleton’s wedding gown influenced key style elements, including laces, long sleeves, sweetheart bodice with V-necks, long veils, and hefty trains. Many celebrities like Allison Williams, Geri Halliwell and Nicky Hilton have worn Kate Middleton-inspired gowns on their big day. Kate’s wedding attire delicately incorporated lace, which seemed modern as well as royal, and brought lace back to the bridal markets. Strapless gowns are now out of fashion thanks to Kate Middleton’s wedding dress. The increased use of long sleeves allows for more design and embellishment in long-sleeved gowns in comparison to the strapless ones. Another reason they have been adopted is that long sleeves effectively balance out the short dresses. Who would have thought that Kate Middleton wearing a sweetheart bodice with a plunging neckline would have such an effect on bridal trends? But this seems to be the case because plunging V-necks with sweetheart bodice are now in on the ramps and aisles. Veils were beginning to diminish from the bridal fashion until Kate Middleton wore one. They are now back with a bang, and the crowds are slowly leaning towards fine veils with delicate trimmings on the edges. Before the royal wedding, girls were opting more increasingly for short or tea-length dresses for their wedding. Trains were being thought of as cumbersome and unwieldy, but seeing Kate enter with a cathedral-length train has changed many minds. Brides-to-be now want to be seen with bridesmaids carrying their trains. Many Kate Middleton-inspired dresses are still designed and sold. Here is a list of a few. Monique’s hand-tufted ball gown is reminiscent of Kate Middleton’s dress, especially with the embellished tulle draped over the sweetheart bodice. The gown has ¾ length sleeves, a long train, and star-embroidered veil. The sweetheart bodice of this floor-length linen sticks to the body to show off curves. 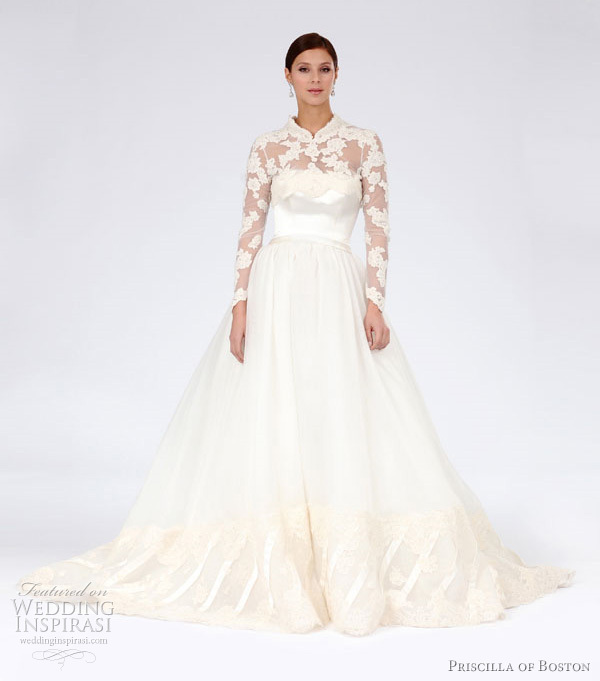 The gown has a point d’spirit lace overlay with full sleeves. 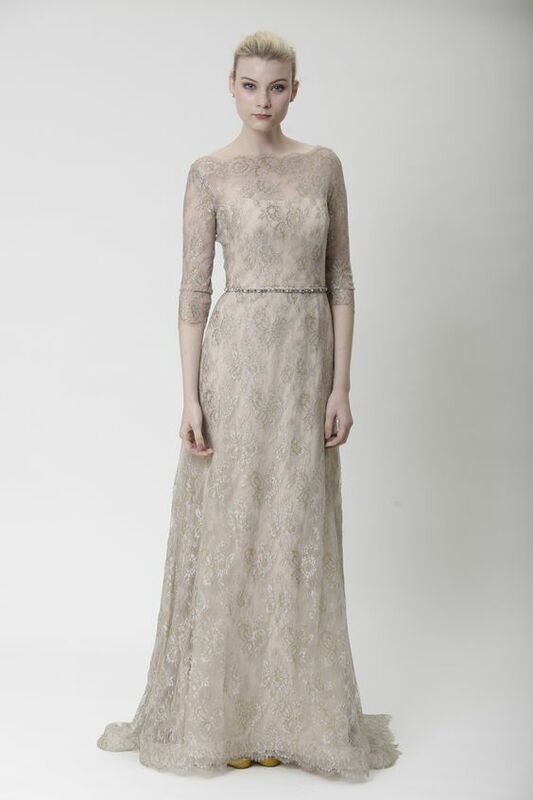 This champagne charmeuse A-line gown is a perfectly modified version of Kate Middleton’s wedding dress, with a sweetheart neckline complemented by Ivory Alencon lace over. It has three-quarter sleeves and a deep V-neckline. Ramona designed the perfect A-line dress. 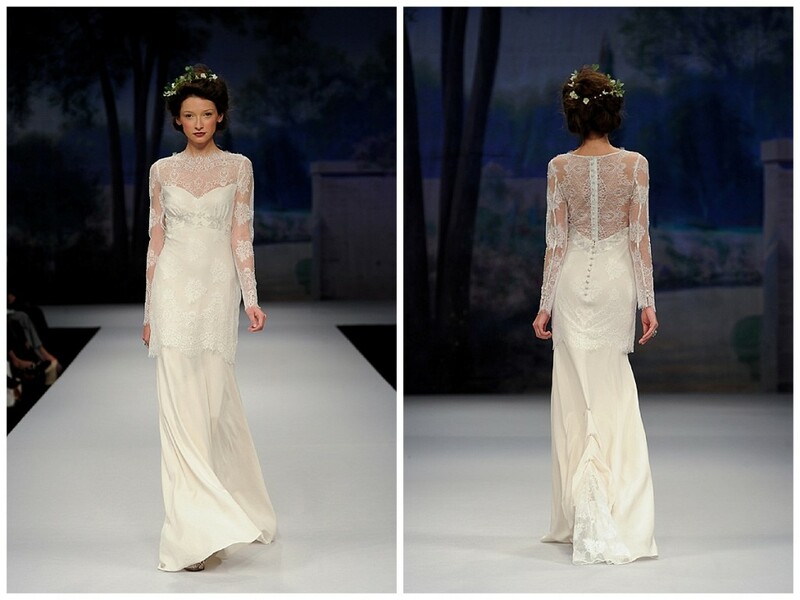 It has full sleeves decorated with flowery lace and a laced V-neckline. The dress perfectly hugs all the body’s curves and expands from the waist. 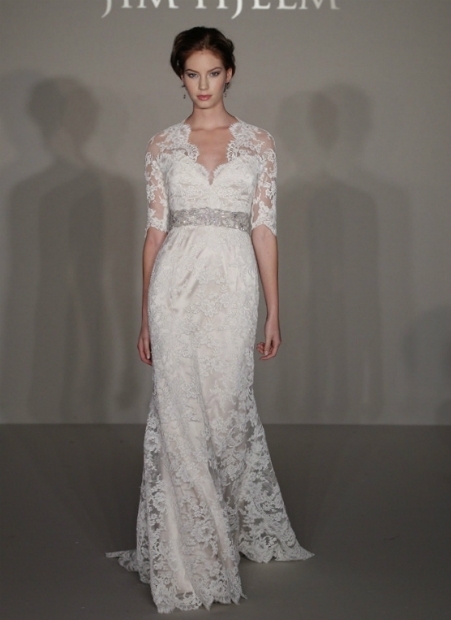 The cherry on the cake is the lace trimmed veil.Ramona designed the perfect A-line dress. 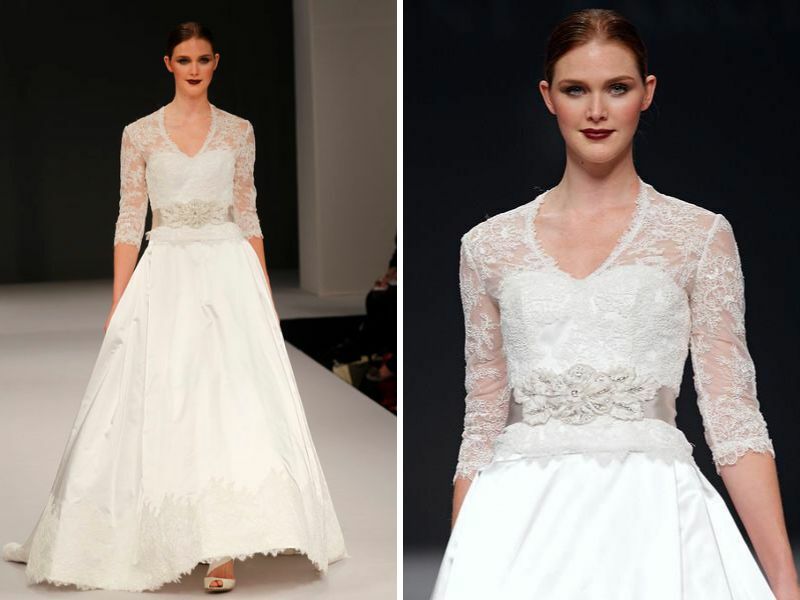 It has full sleeves decorated with flowery lace and a laced V-neckline. The dress perfectly hugs all the body’s curves and expands from the waist. 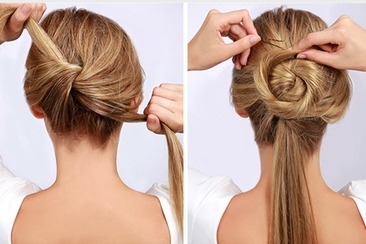 The cherry on the cake is the lace trimmed veil. This unique fish style gown has a sweetheart bodice with an illusion of laced boat neckline. 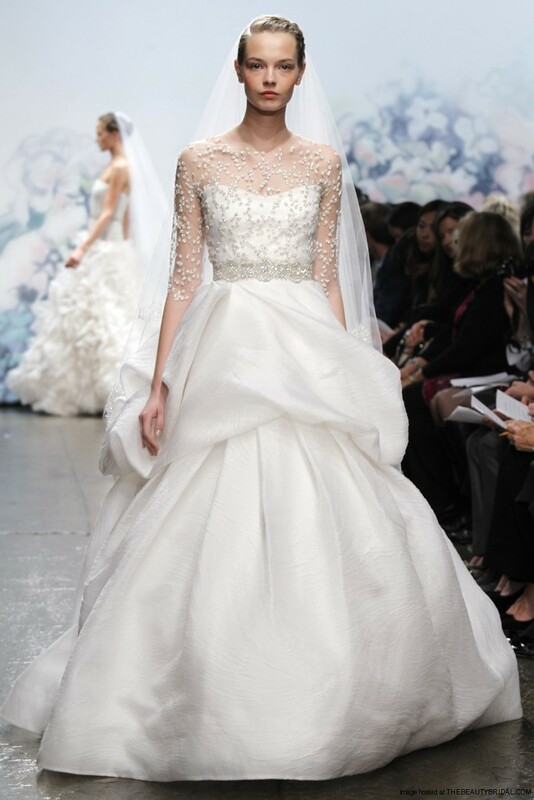 The gown is accented by laced full sleeves and a sweep train at the back. The organza hem of the gown has appliqué detailing. This princess-style dress has a silk bodice with an organza skirt. The dress is accented by a laced jacket with a beaded design, and the sleeves have scalloped edges. The dress has a short train with lace detailing on the hem. This is an ideal modification of Kate Middleton’s wedding dress. This is an ivory colored silk satin ball gown incorporating a pleated sweetheart bodice with a flowy skirt and net illusion with boat neckline. 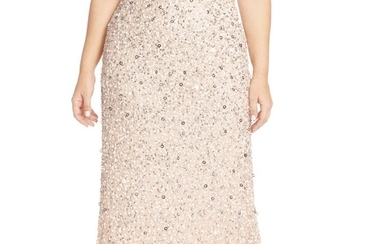 The neckline and the full sleeves are beaded along the edges. This is a traditional white silk-satin A-line ball gown. The skirt has a wide border of ivory Alencon lace while the bodice is fitted with a laced jacket with a cream colored silk organza belt at the waist. 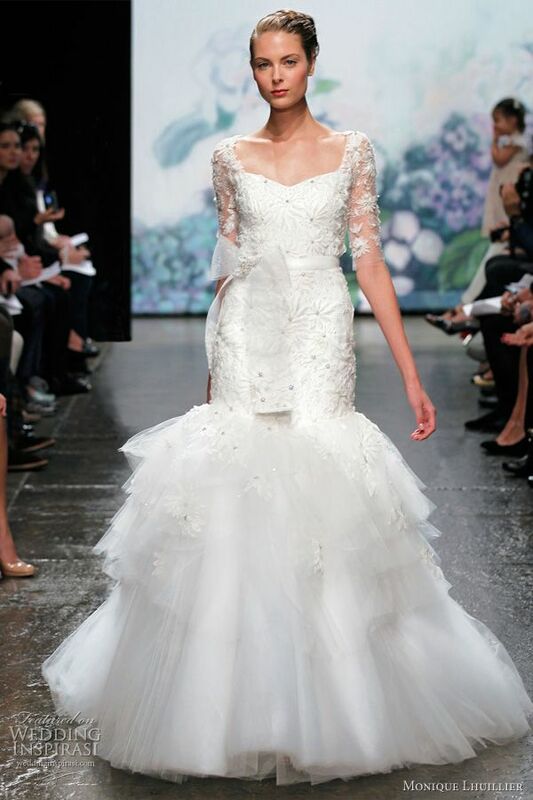 The 2nd Monique design has a trumpet style with a portrait neckline, three-quarter lace and tulle sleeves, a horsehair sash at the waist and layered tulle skirt. 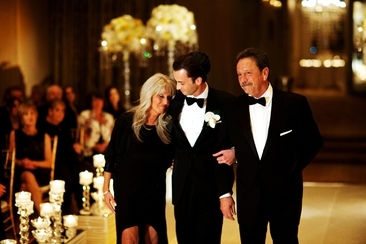 Furthermore, the dress is fully embellished with white floral lace. Rivini’s fawn colored floor length gown has a black and amber crystal belt with lace covered overlay. The overlay has a boat neck and ¾ length sleeves. Picking bridesmaid dresses for larger ladies has never been easier – with our top tips and picks, you’ve got your quest narrowed down to the most flattering styles and cuts.